Only 15 of These Aetolian League Silver Staters are Known to Exist! Aetolia was an area of central Greece northeast of Athens. The Aetolian League was a confederation of cities that joined together for administration and, more importantly, for protection through the creation of a joint army. At first, this new force was at the mercy of stronger armies. However, in later years, the Aetolian League's army was able to fight against Macedonia with the assistance of their new alliance with Rome. 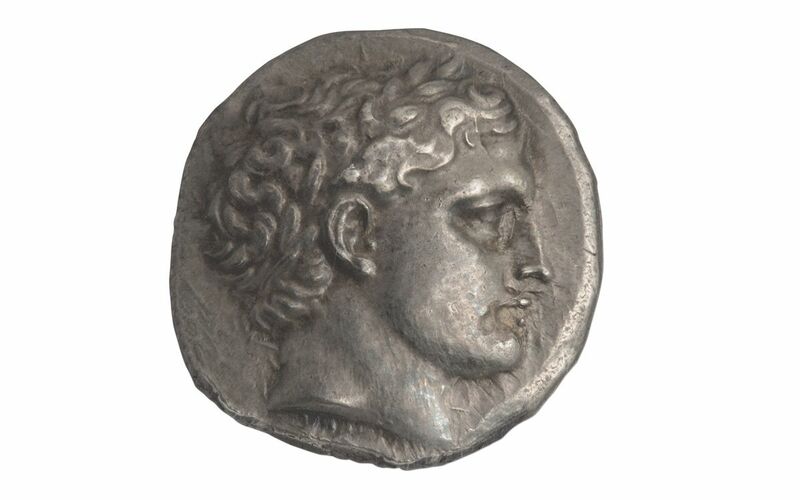 This Silver Stater was struck by the Aetolian League in Greece around 274 to 255 BC. In particular, this coin is from the famous BCD Collection and can claim over 50 years of pedigree. Numismatic Guaranty Corporation (NGC) has graded this Silver Stater About Uncirculated (AU). 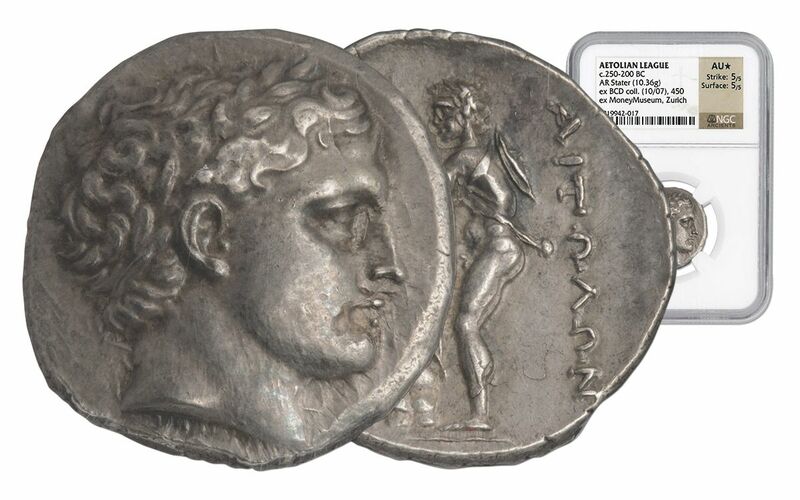 In addition, NGC has awarded a 5/5 rating to the coin's strike and a 4/5 rating to its surfaces. A star has also been added to the coin's grade by NGC, indicating this particular coin scores at the very top of the grade's criteria. 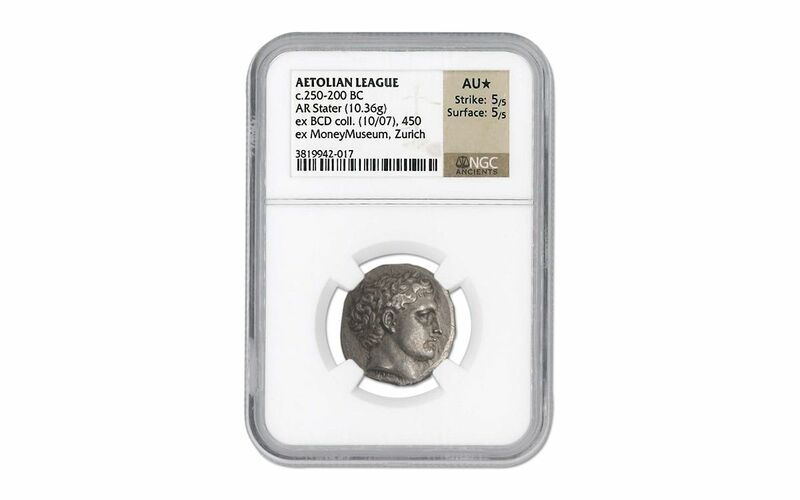 This Aetolian League Silver Stater is very rare. Fewer than 15 are known to exist and only six are documented in Tsangari's authoritative work on these coins. 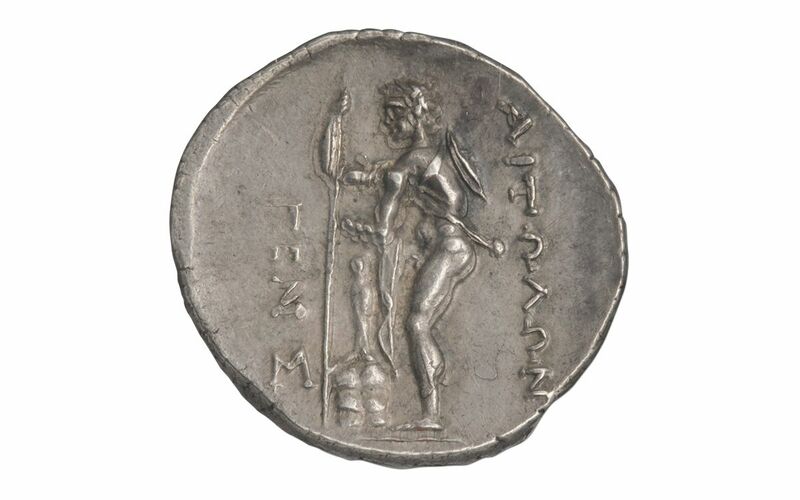 In fact, a search of all of the over 1,430 major ancient coin auctions of the past 15 years revealed only one other sale of an Aetolian League Silver Stater. However, it was in much poorer condition than this coin, with just a few letters of the legend barely visible. Don't miss out on this opportunity to add this significant find to your collection!